Date: Event occurs the third Saturday of every month. One of the Coast Guard Auxiliary's cornerstone missions is to educate the public on recreational boating safety. Our program for 2019 features the About Boating Safely (ABS) course taught by experienced instructors. All graduates receive the Florida Boating Safety Education I.D. Card which is required for all boaters born after January 1, 1988. Our classes are offered on the third Saturday of each month except December. There is a $40 fee for the course with discounts offered for persons attending as family or friends. 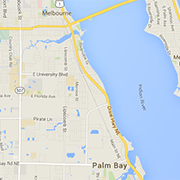 Address: 444 Columbia Blvd., in Titusville. The Brevard County Environmentally Endangered Lands Program will be holding this year's Earth Day celebration from 10 a.m. to 3 p.m. on Saturday, April 20th, at the Enchanted Forest Sanctuary located at 444 Columbia Blvd., in Titusville. During this free event, guests will have the opportunity to see Florida Wildlife, guest presentations on conservation,explore environmental exhibits, participate in a guided walk, listen to live music, and much more. Earth Day Festival will also feature activities for youth, including face painting, crafts, and hands-on activities. Just in time for Easter, the Studios of Cocoa Beach, 165 Minuteman Causeway in downtown Cocoa Beach, is offering a special daytime Sip n Paint party. Join local artist and experienced teacher Jaymee Weinreich from 1 to 4 pm on Saturday April 20 as she guides you through a complete acrylic painting featuring Benjamin Bunny . Bring your friends and your favorite beverage and go home with a complete work of art. Date: Event occurs the fourth Monday of every month. Always an interesting and informative program. Teens! Come join our Teen Activity Group (TAG) every Tuesday at 5 PM. Join us to learn valuable skills such as cooking, finance, and sewing, make cool crafts, and of course, discuss books in our mini book club! There's something for everyone at TAG!